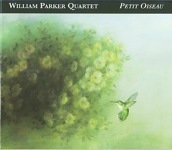 Last heard on 2005's live recording Sound Unity (AUM Fidelity), Petit Oiseau is the triumphant return of bassist William Parker's longstanding quartet. This superb studio session features the same passionate swing and heartfelt lyricism that made their debut record, O'Neal's Porch (Centering, 2001) an instant classic. Few veteran working groups are able to balance inside/outside traditions as gracefully as Parker's flagship ensemble has over the past decade. 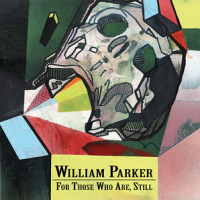 Parker's formative experiences supporting Cecil Taylor and David S. Ware have endowed him with an erudite background in free improvisation that has elevated numerous collective projects, many of which orbit the fertile scene documented by the yearly Vision Festival that Parker co-organizes with his wife, dancer Patricia Nicholson. 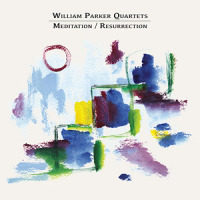 For all his avant-garde credentials, Parker also bears deep roots in the jazz tradition; this ensemble interprets his most alluring compositions with a combination of harmonic sophistication and soulful exuberance. The venerable front-line of Lewis Barnes (trumpet) and Rob Brown (alto saxophone) join Parker and his longtime rhythm section partner, percussionist Hamid Drake, on a mixed set that veers from the ebullient post bop of the title track to exotic travelogues. 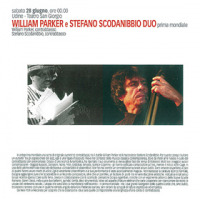 One of today's finest rhythm sections, Parker and Drake are renowned for their ability to incorporate disparate ethnic traditions from around the globe into multi-layered polyrhythms suitable for extended jazz improvisation. Languorous reggae grooves, bucolic African drum patterns, Middle Eastern modal vamps and assorted folk motifs are all incorporated into their sublime post bop excursions. The episodic three-part opener, "Groove Suite," showcases their expansive range as they vacillate between a variety of tempos and meters. The front-line horn section offers a complementary mix of kaleidoscopic colors and vibrant textures. Brown's tart alto tone, keening pitch and coiled, circuitous phrases are balanced by Barnes' subtly muted vocal timbres, placid intonation and mellifluous cadences. Dynamic stylists with a wide range of expressive potential, they occasionally vary their customary approaches; Brown downplays his usual veracity on the dreamy "Golden Bell" while Barnes amplifies his attack on the scorching free bop anthem, "Four For Tommy." Resoundingly melodic, this session highlights some of Parker's most tuneful writing. Gorgeous dedications to the late Art Ensemble bassist Malachi Favors ("Malachi's Mode") and iconic trumpeter Alan Shorter ("Shorter For Alan") resound with earnest conviction as they pirouette through lilting pan-African forms reminiscent of the seminal late sixties recordings by the Art Ensemble of Chicago, Pharoah Sanders and Archie Shepp. "Dust From A Mountain" is the album's most esoteric cut, a pastoral meditation conjured from the entrancing combination of cedar flute, balafon, clarinet and muted trumpet. A welcome return to the studio from one of today's most esteemed working groups, Petit Oiseau is one of Parker's most accessible and enjoyable releases. 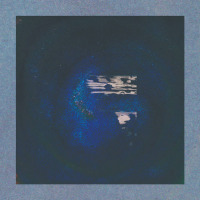 Track Listing: Groove Sweet: Groove #7/Hamid's Groove/Daughters Joy; Talaps Theme; Petit Oiseau; The Golden Bell; Four For Tommy; Malachi's Mode; Dust From A Mountain; Shorter For Alan. 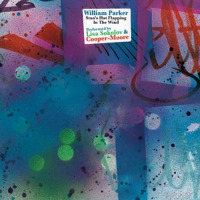 Personnel: William Parker: bass and cedar flute; Lewis Barnes: trumpet; Rob Brown: alto saxophone and B-flat clarinet; Hamid Drake: drums, balafon and frame drum.